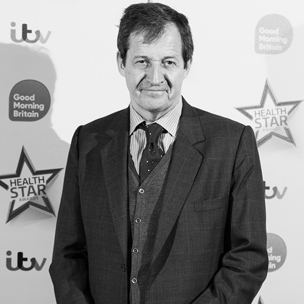 Alastair Campbell is a writer, communicator and strategist best known for his role as former British Prime Minister Tony Blair's spokesman, press secretary and director of communications and strategy. Still active in politics and campaigns in Britain and overseas, he now splits his time between writing, speaking, charities and consultancy. He has written eleven books in the past eight years, including six volumes of diaries, three novels, a personal memoir on depression and the pursuit of happiness, and most recently Winners and How They Succeed, a Number 1 best-selling analysis of what it takes to win in politics, business and sport. In October 2008 Alastair broadcast an award-winning one hour documentary on BBC2 about his own breakdown in 1986. Both the film, Cracking Up, and All In The Mind, won considerable praise from mental health charities and campaign groups for helping to break down the taboo surrounding mental health, leading to his election as Mind Champion of the Year award in May 2009. Andrew Scott is Professor of Economics and former Deputy Dean at London Business School. He is also a Fellow of All Souls, Oxford University and the Centre for Economic Policy Research. He previously held positions at Oxford University, London School of Economics and Harvard University. His MA is from Oxford, his MSc from the London School of Economics and his DPhil from Oxford University. His research focuses on business cycles, monetary and fiscal policy and longevity. He has published widely in leading journals and with David Miles and Francis Breedon is author of a textbook, Macroeconomics: Understanding the Global Economy, now in its Third Edition. His book, with Lynda Gratton, The Hundred Year Life has been published in 12 languages, is an Amazon best seller and was runner up in the FT/McKinsey Business Book of the Year Award 2016 and Japanese Business Book of the Year Award 2017. Emma Birchall joined the Hot Spots Movement in 2013, and works closely with Hot Spots Movement CEO and London Business School Professor, Lynda Gratton. Emma works with clients to anticipate the trends shaping the future of work and how they will need to adapt working practices to future-proof their success; she delivers Masterclasses attended by senior executives from multinational organisations including Shell, Accenture and the Coca-Cola Company. 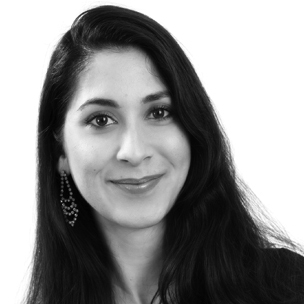 Emma writes for the US Business Section of the Huffington Post and has a particular interest in applying lessons from the creative arts, notably improvisation, to organisations. She performs improvised theatre and comedy, having studied this in London and Chicago in recent years. Abdulrahman Tarabzouni is CEO and MD of STV, a $500M tech venture fund anchored by STC, the largest telecom company in the Middle East. STV closed its first transaction in December 2016: co-led Careem's (Series D) investment round at a $1B valuation. Previously, Abdulrahman has led new business development and global partnerships for Google's wireless connectivity and communications efforts out of the company's headquarters in Mountain View, California. Prior to that, he built and scaled Google’s Android/Play business across Eastern Europe, Middle East and North Africa. 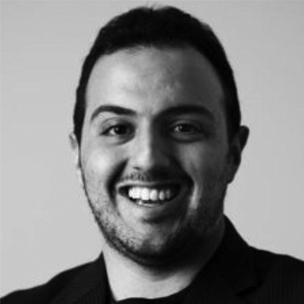 Abdulrahman first joined Google in 2009 to establish and lead Google’s business operations in emerging markets in the Middle East region out of Dubai. Prior to Google, he co-founded a number of technology ventures in the US and managed different engagements at Oracle, Morgan Stanley, and Blueprint. Abdulrahman attended MIT and received a BSc and MEng in Computer Science and Economics. 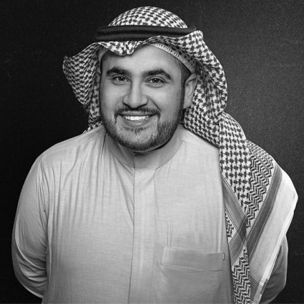 Khalid Al-Khudair’s current role is the Founder and CEO of Glowork, a women empowerment organisation that has created thousands of jobs for women. This led Glowork to be awarded the “Best Innovation globally for job creation” by the UN, ILO and World Bank. He is a proud Ashoka Fellow and a Global Shaper at the World Economic Forum. In 2014 Khalid was elected to become a Young Global Leader at the World Economic Forum for his work in social entrepreneurship. Previously he held the role of COO of Markets at KPMG in Saudi, Kuwait and Jordan. Khalid managed to lead the firms he worked with to over 30 key awards which were aligned to the firm’s overall corporate goals and strategy. Chris is a member of the House of Lords Select Committee on Artificial Intelligence, which was appointed on 29 June 2017 to consider the economic, ethical and social implications of advances in artificial intelligence, and to make recommendations. He is also co-chair of the Parliamentary Groups on Assistive Technology and Fintech and member of the groups on AI and the 4th Industrial Revolution. He has also contributed to House of Lords Select Committees on Digital Skills, Social Mobility and Financial Exclusion and published a report; "Distributed Ledger Technologies for Public Good: leadership, collaboration and innovation" calling on the Government to look at the challenges and opportunities of this technology for improving public services. Prior to entering the Lords, Chris was Director of Paralympic Integration at the London 2012 Organizing Committee of the Olympic and Paralympic Games (LOCOG) and is himself a former Paralympic swimmer who won nine gold, five silver and one bronze medal across four Games, including a record haul of six golds at Barcelona 1992. Geoff is a very active campaigner for breaking the stigma associated with mental health in the corporate world and has participated in a number of BBC programmes and campaigns around this subject. In 2016 he convened a meeting with David Cameron and CEOs from FTSE 100 companies to address their role and agree actions to break the stigma in work environments, and has supported The Royal Foundation (Prince William, Harry and Kate) in their mental health campaign. He's recently had the opportunity to engage with Pope Francis on how we create a more sustainable and inclusive economy through his work with the Global Foundation. 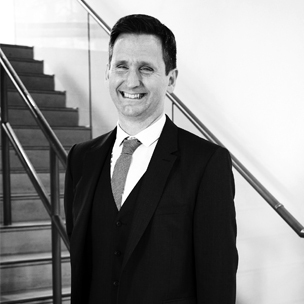 Geoff's background includes 25 years with Unilever, his experience spanning leadership (VP HR), talent development, organisation change, capability development, with particular reference to marketing, and purpose-centric business transformation. Today Geoff campaigns and speaks about inspiring and provoking organisations to put purpose, wellbeing and mental health at the heart of everything they do. 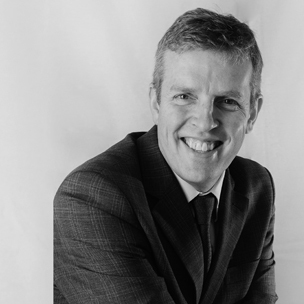 He's also an Executive Director of Open Minds Health - an organisation providing businesses with practical strategies to address workplace mental wellbeing culture for achievable, measurable and sustainable improvement of employee wellbeing. 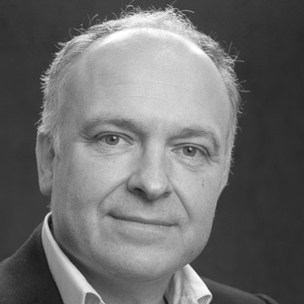 Alan is the founder and CEO of Complete Coherence Ltd. 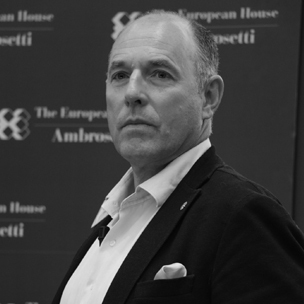 He is recognised as an international expert on leadership and human performance. Alan has a broad mix of commercial, academic, scientific and technological abilities. He was originally a physician and he also has a first class degree in Psychology and a PhD in Immunology. Over the last 18 years Alan has worked, lectured and consulted with small, medium and large multi-nationals on leadership development. He has coached and worked with numerous Boards and thousands of Senior Executives in the FTSE 100. Alan has a number of academic affiliations and is still actively involved in a variety of cutting edge research projects, with collaborators around the world.